Will leave your hands looking and feeling great! Our skilled nail technicians will provide expert nail and cuticle care that leaves your hands looking professional and sophisticated. Using a refreshing citrus body polisher your hands and arms will be exfoliated, toned and relieved of dry, dull skin. Next, we’ll wrap your arms and hands in a masque that smooths and tightens skin. Tension in your forearms, hands, and fingers is massaged out with a deeply toning body balm. End your journey feeling relaxed, with your hands looking their best! A gentle buff to shine for clean healthy nails completes the experience. Still not convinced a manicure is the “manly” thing to do? So whether you’ve been working on the railroads or burning the midnight oil at a desk, do your hands a favor and bring them to Zama for an experience that’s guaranteed to delight. 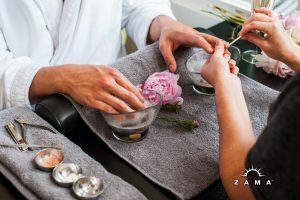 Zama has just the treatment for those sore, tired hands and you’re sure to leave the spa relaxed and invigorated to take on your week. 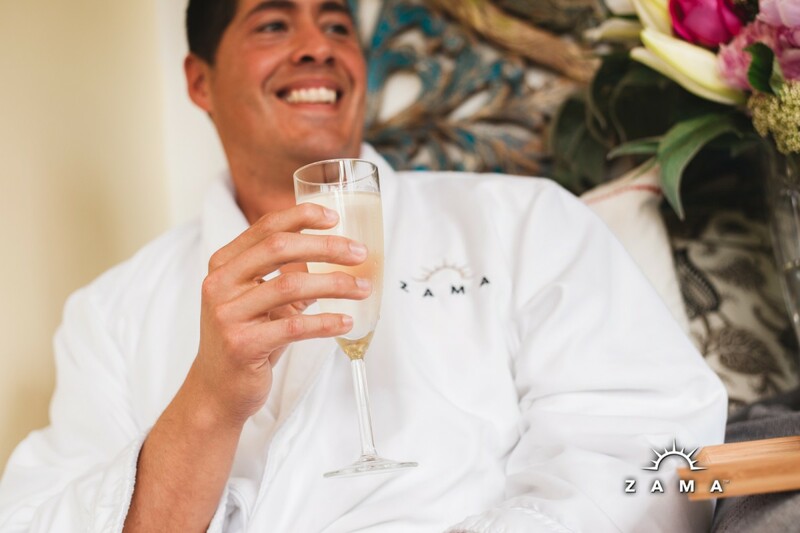 The Just For Him Manicure at Zama includes a rotating local brew, so sit back, relax, and have a cold one on us!